It is July in Washington, DC, and the heat and humidity are in a photo finish. This oppressive heat radiates in waves from the pavement and bounces off the black mirror. I walk into the blackness of it. 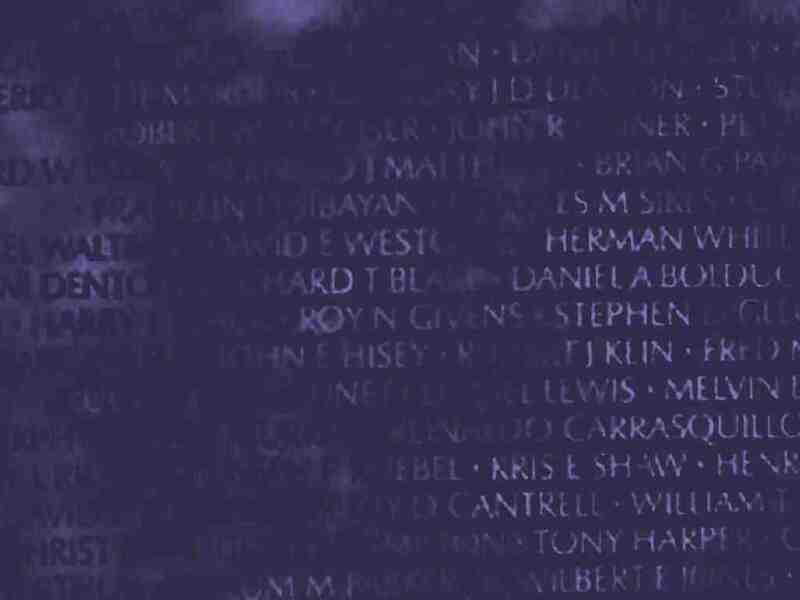 Fifty-eight thousand faceless names march by solemnly, silently. Name, upon name, upon name in an endless procession, each with a private and all too brief story behind the thing etched forever, gray against black. The walkway descends as the black wall rises to an overpowering ten feet, creating a world of its own. There are no sounds of traffic anymore. Tones are hushed. Casualties of war are everywhere. Memories are as numerous as flowers. Medals abound. The music is there, too - or is that from inside?